Here are a few of our services listed, and if you do not see a service you need, please call or Email us now for a free estimate. Let us customize a maintenance program to best fit your needs! 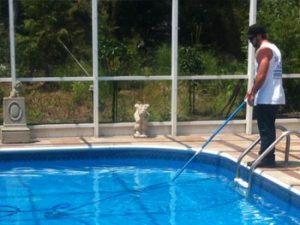 We offer Monthly Pool Service, contact us to schedule your service. We can Repair Your Pool fast and get you back in the water.